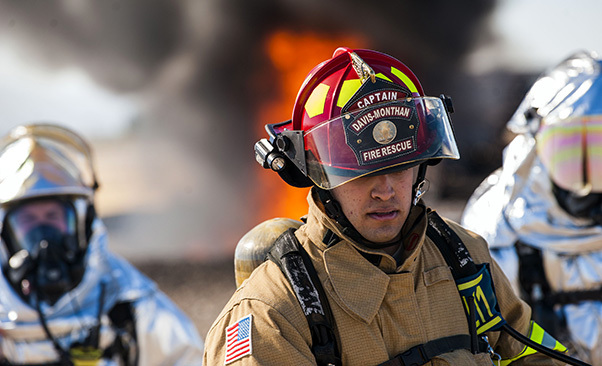 U.S. Air Force firefighters from the 355th Civil Engineer Squadron walk away from a controlled fire at Davis-Monthan Air Force Base, Ariz., Jan. 10, 2018. The controlled burn simulated the result of a downed aircraft that burst into flames. 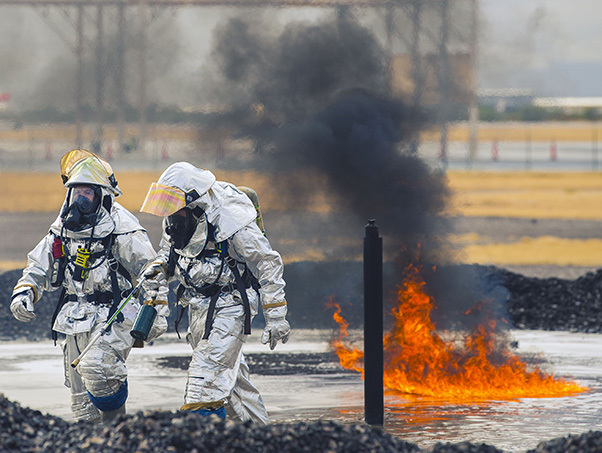 U.S. Air Force firefighters from the 355th Civil Engineer Squadron walk away from igniting a fire during an aircraft rescue firefighting training exercise at Davis-Monthan Air Force Base, Ariz., Jan. 10, 2018. 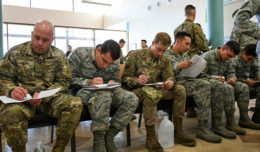 Firefighters from the 355th CES practice these exercises regularly to hone their skills in preparation for the possibility of an aircraft fire. 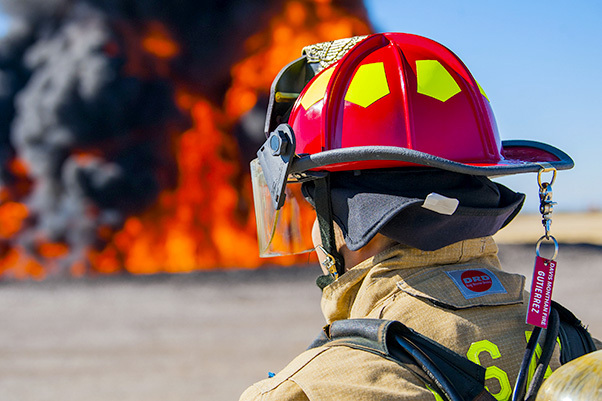 A U.S. Air Force firefighter from the 355th Civil Engineer Squadron monitors a controlled fire during a training exercise at Davis-Monthan Air Force Base, Ariz., Jan. 11, 2018. Live fire training is useful to firefighters because it hones their skills and prepares them for real world scenarios. 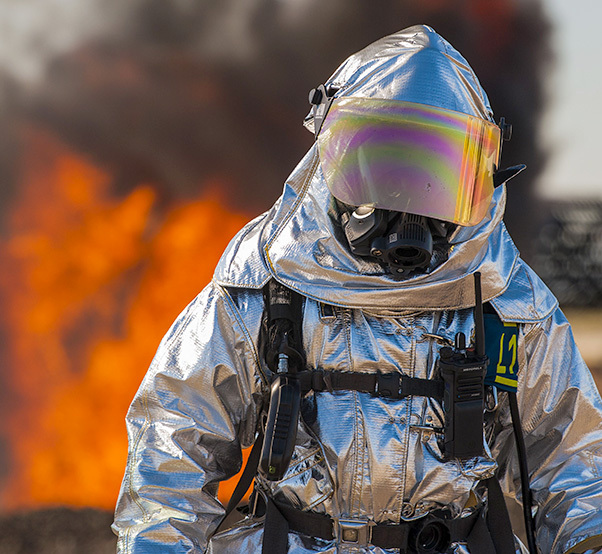 A U.S. Air Force firefighter from the 355th Civil Engineer Squadron walks away after igniting a controlled fire during a training exercise at Davis-Monthan Air Force Base, Ariz., Jan. 10, 2018. The objective of the exercise was to quickly extinguish the controlled fire, which was lit beneath a mock A-10C Thunderbolt II. 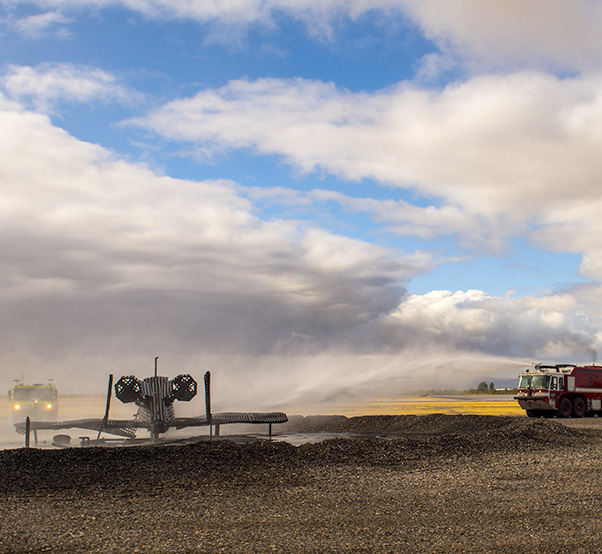 U.S. Air Force firefighters from the 355th Civil Engineer Squadron extinguish a fire during a training exercise at Davis-Monthan Air Force Base, Ariz., Jan. 10, 2018. 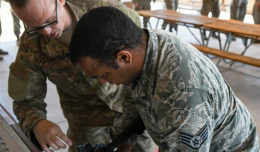 During these exercises, a mock A-10C Thunderbolt II is set on fire to practice aircraft rescue firefighting.